Over the past two days, the Brown Institute in New York played host to Photography Expanded: Counter Histories. The program provided sixteen photographers, artists and media professionals imaginative ways to respond creatively to existing images, bringing layers of story into our lived experiences and environments. 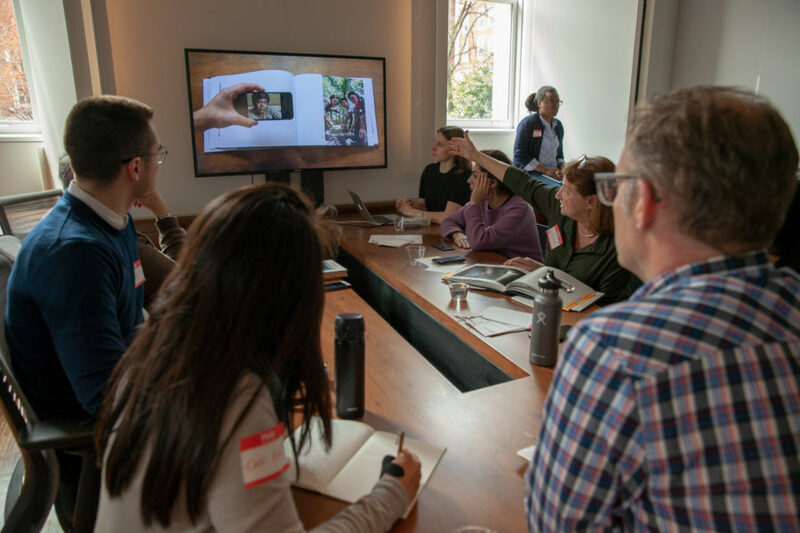 The program also explored strategies to circumvent or challenge static narratives, official histories, and power structures embedded in collections of images and data, both analog and digital. Participants were selected through an open call. The selected participants for the 2018 Photography Expanded Lab include: Noor Al-Samarrai, Tomie Arai, Juan Aranguren-Romero, Roger Archibald, Sim Chi Yin, Jonathan Gardenhire, Christopher Gregory, Brendan Hoffman, Nicole Marroquin, Hector Membreno-Canales, Stephanie Mercedes, Mark Murrmann, Emily Pederson, Robert Pluma, Alice Proujansky, and Zoraida Lopez. Produced by the Magnum Foundation and supported by the Fledgling Fund, the lab provided a safe environment for participants to expand beyond their comfort zones, offering education about emerging platforms––such as gaming, geo-locative media, mixed reality, and immersive theater–– and how to apply these technologies to their in-process works. Core questions addressed in the program included: how does an image’s meaning and reception change according to its environment or geographic position? How can we look critically at the ways in which institutions, countries, cultures, religions, and others bring order to collections of images? What happens when images are positioned as layers on top of our lived environments? And how can we use strategies of participation and interactivity to engage with social issues or promote social justice? Work from the lab will be presented at the 2018 Magnum Foundation Photography Expanded Symposium on Tuesday, May 1, 2018. Facilitators for the lab were Dan Archer, Eulani Labay, Joshua McWhirter, Ziv Schneider, Corey Tegeler, and Joe Wheeler.